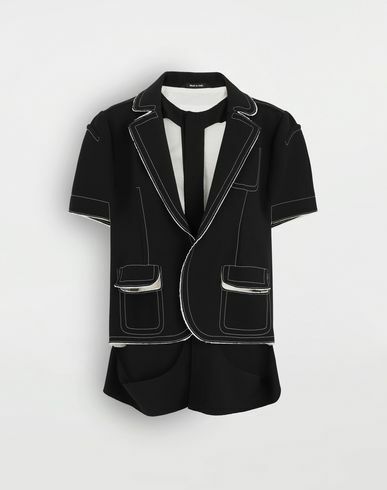 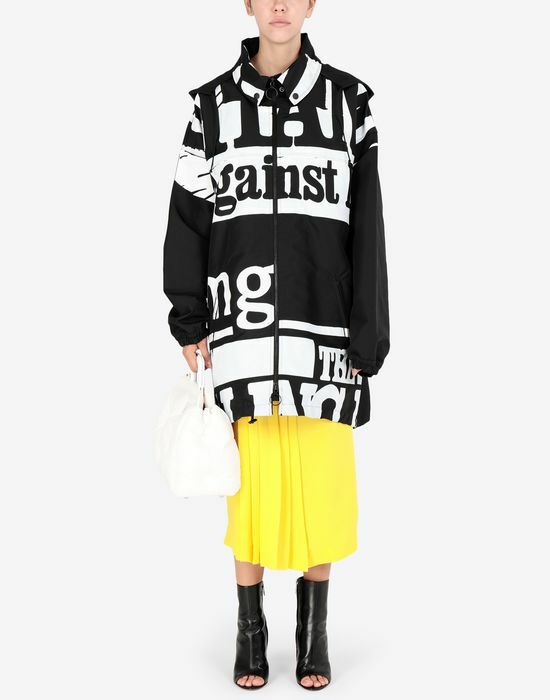 Featuring an out-scaling of Maison Margiela’s iconic Vitamin print in black and white, this sports jacket is a key piece from the autumn-winter collection, which is rooted in the concept of “unconscious glamour”. 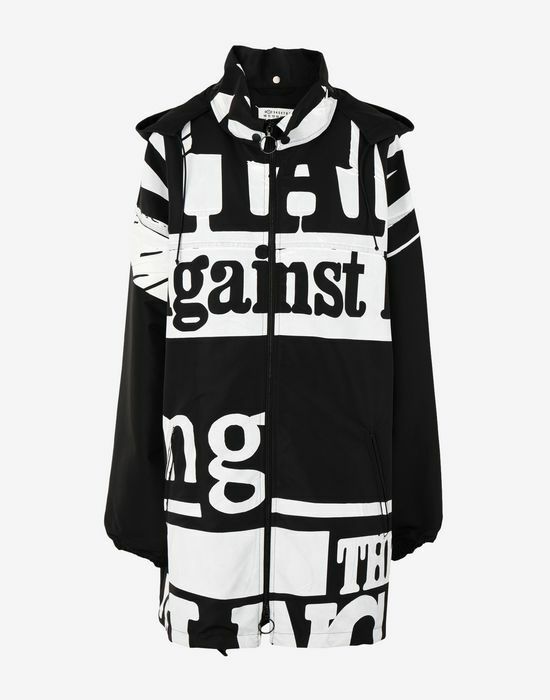 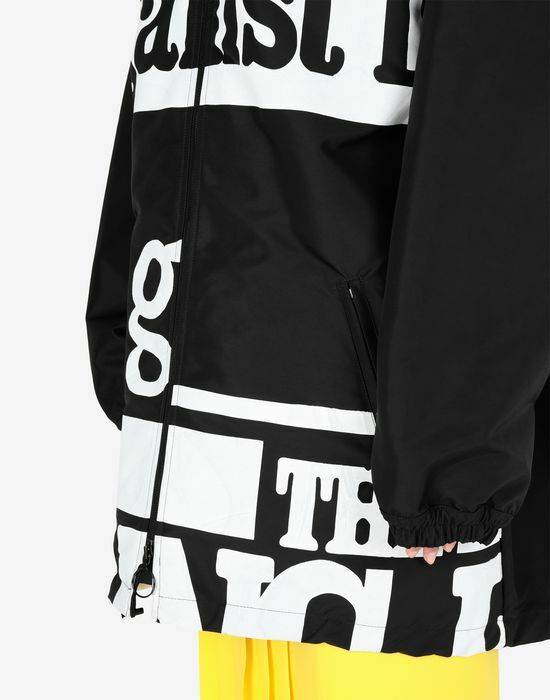 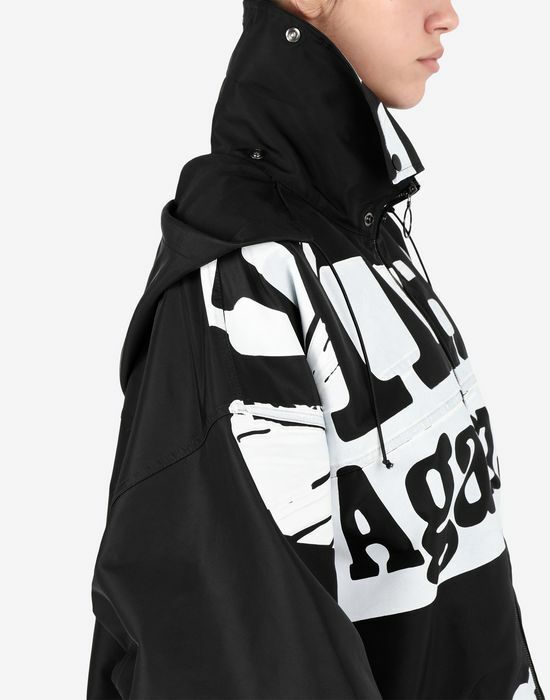 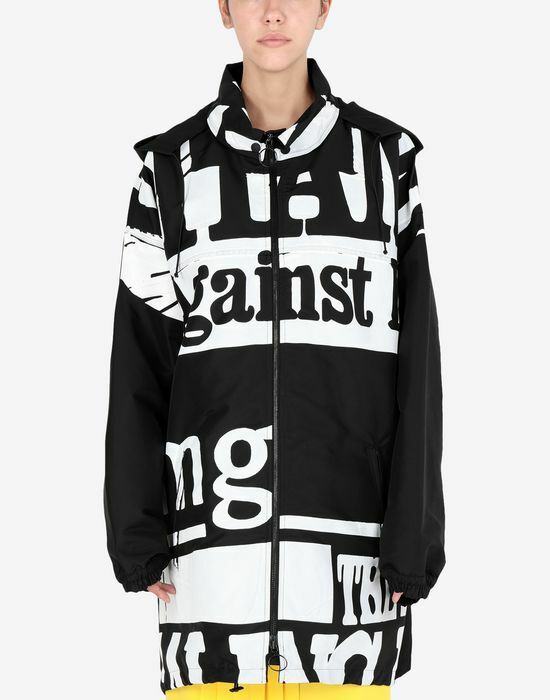 The printed coat is left blank on the back in contrast, where a large hood feels modern. 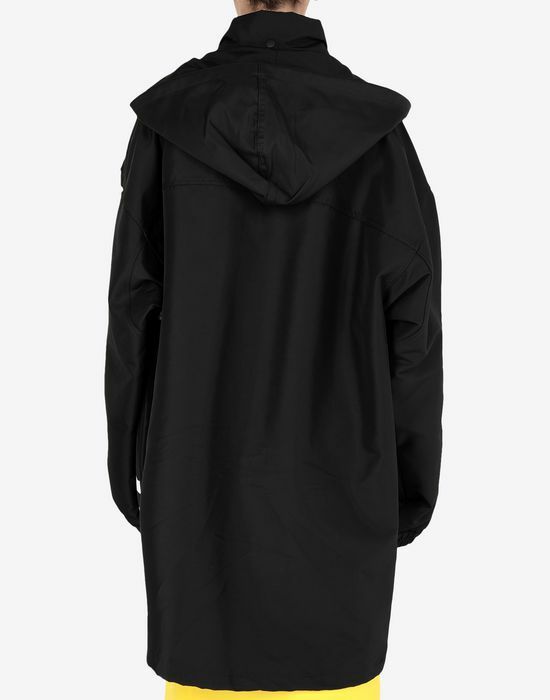 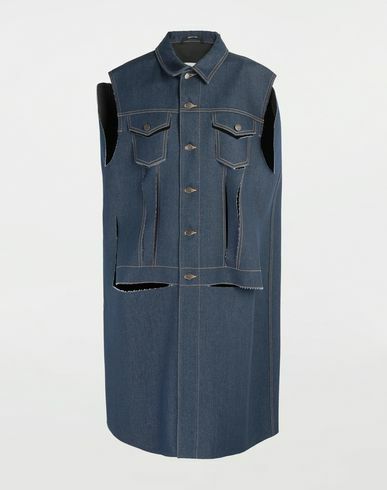 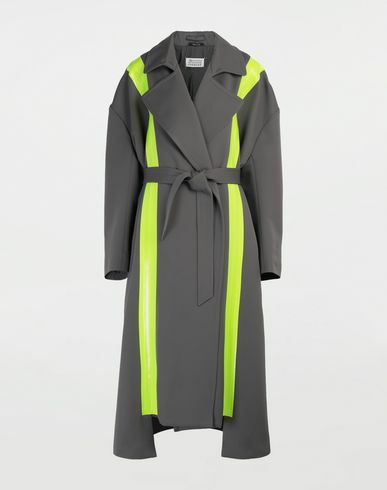 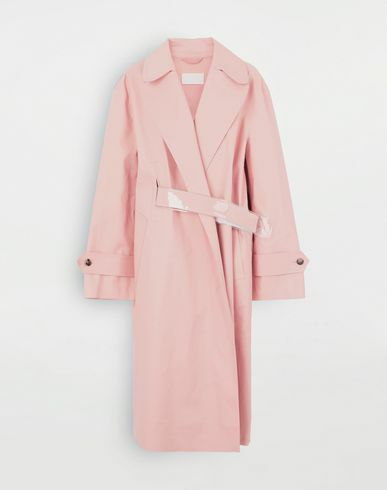 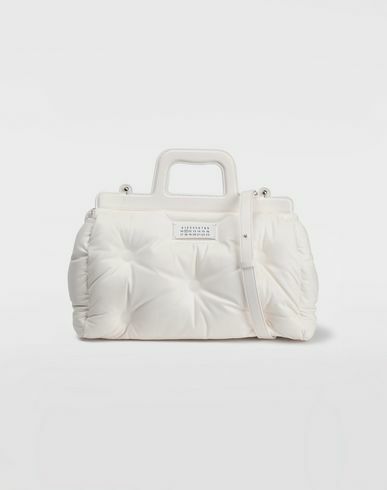 The design has a generous cut, with oversized sleeves and a central zip fastening.